How do I check World Series results for my class? 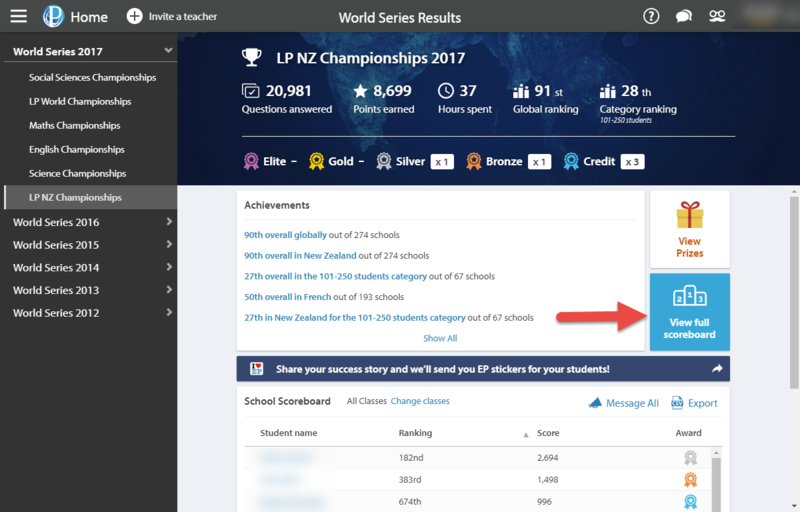 You can view how many points your school has collectively earned during one of our World Series events through a dedicated window in the Control Panel. 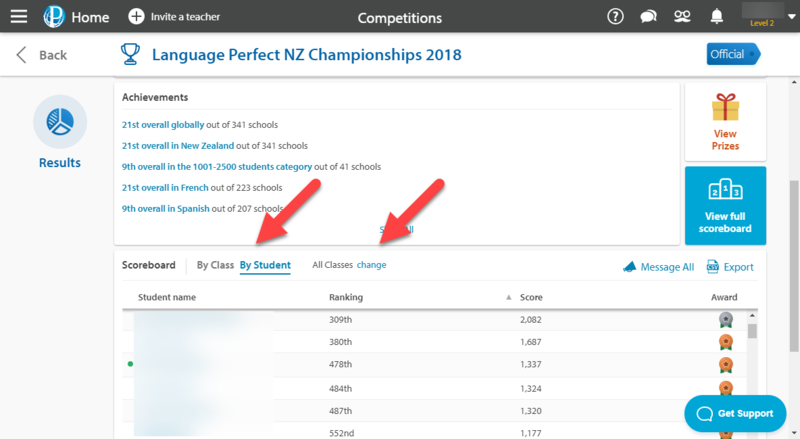 You can use this information to determine your top students, compare the results of different classes, and see what awards your school has earned. Start by clicking on World Series results in the Other Areas... section of your Control Panel. In this window, you have the option to pick between the World Series competitions that your school has competed in over the years. Select the one you would like to view the results for in the screen on the left hand side. Scroll down below the Achievements window to view the School Scoreboard. This compiles the individual achievements of your students in the competition; this consists of their global rank in the competition, their score, and their award if they have earned one. To export this information as a spreadsheet, select the Export button on the top right of the scoreboard. You have the option to refine the displayed results to select classes at your school. To do this, start by selecting Change classes. 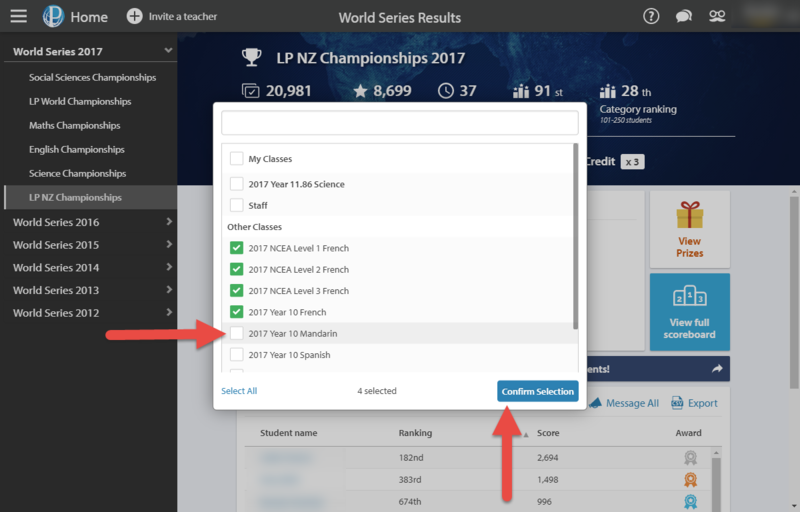 In the window that pops up, select the classes you would like to view the results for, and then Confirm Selection. The School Scoreboard will be updated to represent the selected classes. 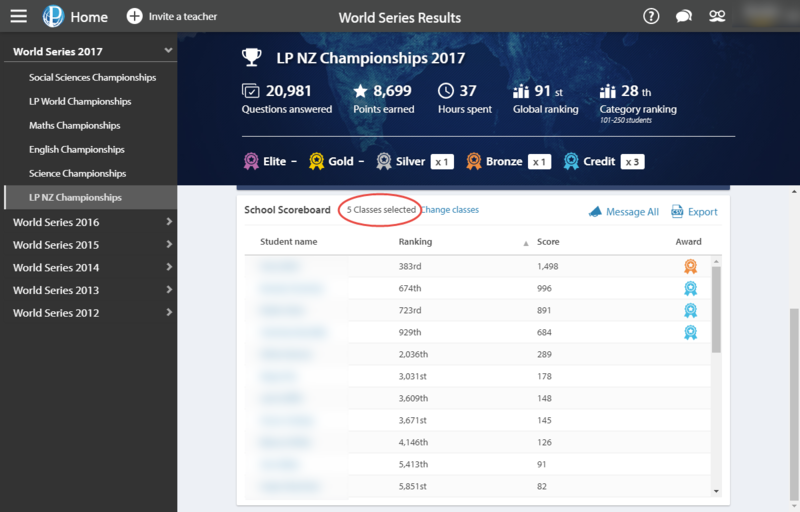 To view the global scoreboard for all schools and students that competed in the competition, select the View full scoreboard icon. This screen will open in a new tab. 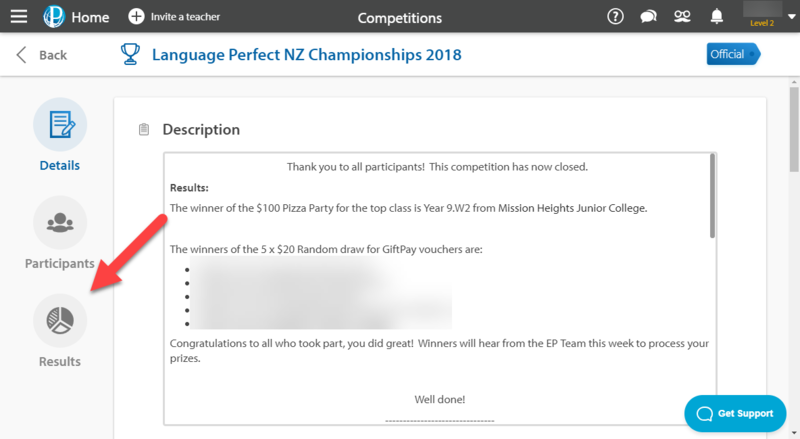 Start by clicking into the Competitions tab on your Control Panel. 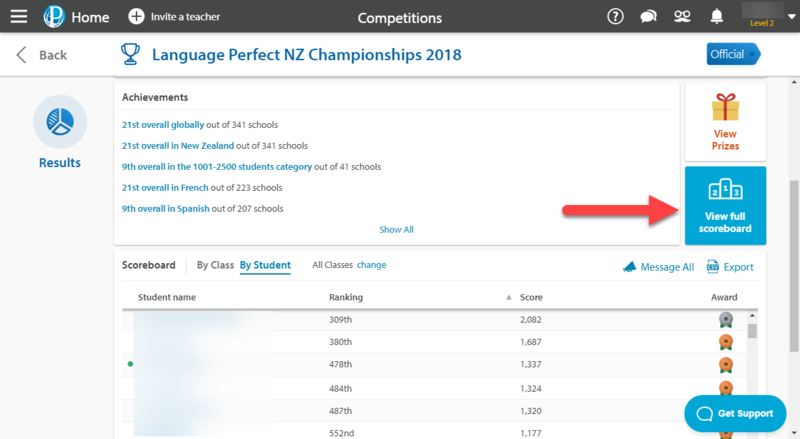 From here, change the filter at the top of the page to include the time frame of the competition you are after. Click on the desired competition once you have located it and then select Results. Here you will be able to see the results of the students at your school. 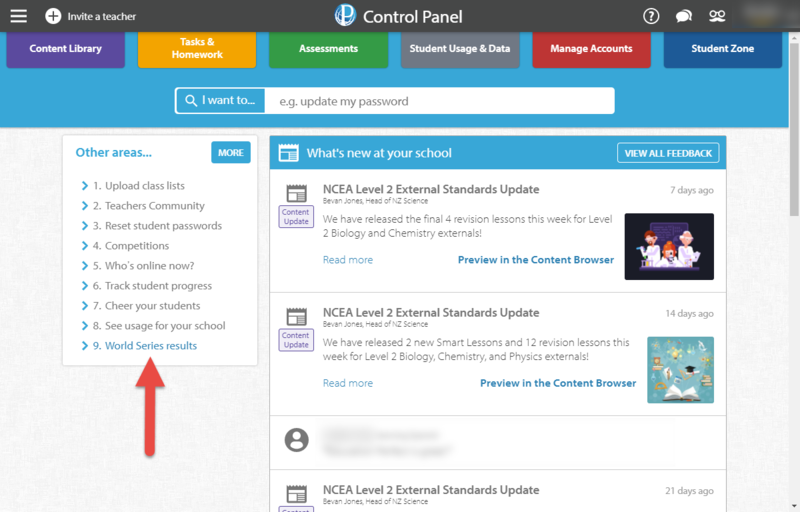 You will be able to switch between viewing by students or by classes. You are also able to filter to show specific classes.